The Julie Stevens School of Dance 10 years ago. Music and dance workshops kept the young people of Chapel St Leonards entertained during the summer of 2008. The workshops were held at the Julie Stevens School of Dance. 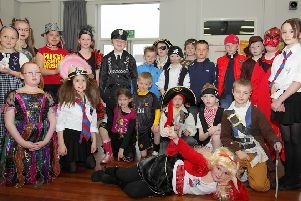 Charlotte Swift, 11, was the time warp fancy dress winner.